Rob Hegarty is Managing Partner and Founder of Hegarty Group, a strategic research, advisory and consulting firm at the intersection of Financial Markets, Technology and Data. Hegarty Group was founded on the guiding principle that firms at that intersection need an expert, trusted advisor with objective and informed strategic insights to help drive your firm’s growth. We have a successful track record of -- and passion for -- connecting the dots, enabling you to uncover the hidden, untapped potential at that intersection. 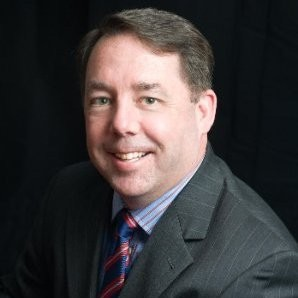 Prior to founding Hegarty Group, Rob was President of Olmstead Associates, a specialized consulting firm to the investment management industry, where he had overall responsibility for the vision, strategy, execution and day-to-day operations for the company. Prior to joining Olmstead, he was Global Head of Equities for Thomson Reuters where he had overall responsibility for Thomson Reuters’ $1.2 billion global equities business, including all Equities desktop, transactions, data feeds, software platform and analytics businesses, as well as leading Thomson Reuters’ Market Structure efforts. Prior to Thomson Reuters, Rob was Managing Director, Strategy and Marketing at the Depository Trust and Clearing Corporation (DTCC) overseeing strategy, planning, marketing, corporate development, and market structure. Prior to that he spent 10 years at TowerGroup, the leading provider of technology research and advisory services to the global financial services industry, where he launched and led TowerGroup’s Investment Management practice, and subsequently led all non-bank advisory businesses. Prior to TowerGroup, he held technology leadership positions at Putnam Investments, Fidelity Investments, and Coopers & Lybrand. He has also serves on the boards of public and private companies, and many industry boards. Rob is a globally recognized thought leader in financial services technology. He has been a featured speaker at dozens of industry conferences globally, been quoted hundreds of times in publications including the Wall Street Journal, Financial Times, New York Times, Forbes, Institutional Investor, and many others. He has also appeared regularly on CNBC-TV (U.S. and Europe), ABC-TV and other broadcast outlets. He holds an M.B.A. with a finance/marketing concentration from Babson College and a B.S. in computer science from North Adams State College. In his free time, Rob enjoys time with his family, golfing, and cycling.